Happy New Year everyone! 2018 was a thrilling year for Urban Afro Concept (UAC), full of much growth, interesting opportunities and important lessons. It’s been a year of ups and downs, but mostly ups, with a number of changes which we hope will make for an exciting 2019. Early last year, this style blog (and now online store) took on a new look and name. I’d wanted to give the blog a face-lift for some time but I wasn’t quite sure how to achieve that without changing the feel of the blog so drastically. I ultimately decided to swap out ‘Urban Afro Gypsy’ for ‘Urban Afro Concept.’ The sleek new logo, designed by my brother, Chileshe, and new name are a reflection of my own personal style as well as everything the UAC blog and jewellery collection symbolizes for me – Afro-urban chic, sophisticated simplicity and African elegance. The change signified a new chapter in the life of this blog and gave rise to a some of the other changes that took place over 2018. Nonetheless, the biggest motivator behind the name change was a blog post I read on the Wrapsody LLC website in which the owner – who identifies as a Hungarian Gypsy – explains why she formally scrapped the original business name, ‘Gypsy Mama’. The word ‘gypsy’ is a pejorative term loaded with a myriad of negative connotations and has been used as a racial slur by many people in Europe over the years. Of course, I meant no disrespect whatsoever in incorporating the term into the name of my blog but naively likened some aspects of the Roma culture to my upbringing as an African third culture kid or ‘cultural nomad’. After conducting more extensive research, which I admittedly should have done beforehand, I made the decision to drop the ‘gypsy’. I sincerely apologise to anyone who was offended by the old name. I made a grave mistake and have certainly learnt a great deal from the experience. Another major change in 2018 was the launch of the UAC website plus online store in August. When I first began making jewellery in 2011, I never envisioned that things would get to this level. 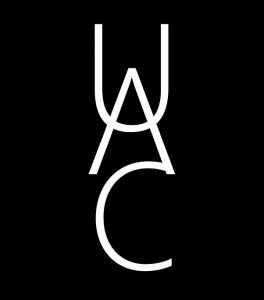 The site and store provide a convenient location for customers to get some of the hand-crafted gems that comprise the UAC collection and place orders for custom jewellery and accessories. The launch also saw the introduction of some new styles and different kinds of accessories in the collection including large wax print necklaces, beaded necklaces and bracelets for both men and women as well as rings and new styles of mixed-media earrings. My jewellery-making skills grew and continued to grow throughout 2018. I’d taken on some exciting custom orders which challenged me creatively and gave me a chance to expand my repertoire. This is one of my absolute favourite aspects of the business because not only is it so much fun, it’s also such a wonderful feeling to see a customer wear and love something I created with by my own hand. Since its inception the Urban Afro Concept blog and accessories line has been constantly expanding. 2018 has been its strongest year so far and saw it reach levels that exceeded my humble expectations. With all the changes UAC has undergone over the past year I’m still, admittedly, finding my feet. But I look forward to what 2019 will bring. One thing I’m looking forward to in particular is continuing to collaborate with my mother, Chimba, who is the designer and founder of Ethnique-Afrika. She’s been a great inspiration to me creatively as well as my biggest supporter and throughout last year, we embarked on a few small business projects together. I’m hoping to continue working with her to create more African-inspired custom fashion and accessories on a larger scale. I have high hopes for this year. In closing, also want to say how very thankful I am to UAC fans for their loyalty and support. I would have never been able to achieve any of this without it. I’m super stoked for the year ahead and wish you all the best for it! Here’s to a productive, positive and prosperous 2019! Previous Post Black Friday deals!!! Next Post Become a UAC brand ambassador!